If you’re a bit like me, when I eat a salad, I have this smug little look upon my face that says, “look at me, eating this salad and getting all healthy.” Well that’s not exactly what I’d say but I do congratulate myself that I’ve taken the initiative to create a work-intensive healthy meal that checks off all the nutritional boxes (healthy fat…check, protein…check, fiber…check, antioxidants…check). And you should feel proud of yourself too just like I do. You’ve gone to a fair amount of work to get all the nit-picky ingredients together, you’ve cut them up uniformly, mixed your own dressing with healthy oils and then built your salad. Congratulations! Carotenoids also play a huge role in protecting the brain and the eyes from aging. One study from the University of Georgia showed that Lutein and Zeaxanthin found in high quantities in Kale, Spinach and Avocados boosted the subjects visual processing speed and response times. In fact, these are the two necessary agents to perform better at sports. (2) And that’s where the BRAWN in this little tale comes in. So a lovely salad of Kale, Spinach and Avocados, laced abundantly with Lutein and Zeaxanthin, can enhance the performance of your brain and your nervous system. But wait, there’s one more co-requisite of carotenoids to have these effects. FAT! Healthy fats are essential to usher in those terrific carotenoids. 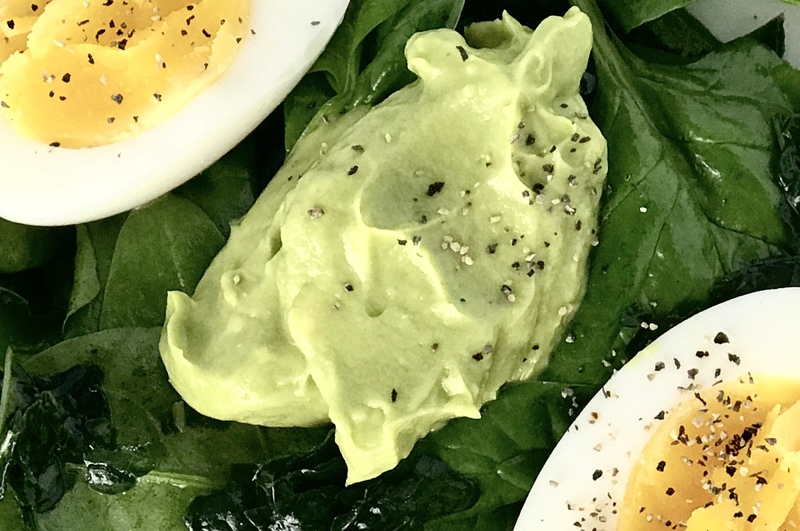 One study from Purdue University found that those who added three whole eggs to a salad increased absorption of the carotenoids by 3-8x more than the control group. (3) Another option is to use extra virgin olive oil in your salad dressing (sadly store-bought dressings often contain grapeseed oil which has a very imbalanced ratio of omega 6 to omega 3 [700:1], important for heart and artery health. )(4) If you don’t consume fat with that dynamite salad, you may as well be eating cardboard. And don’t you agree that’s just how it can taste if we don’t have enough oil on top? Healthy oils, that is. Time to make that Brains and Brawn Salad that will have you rocking that smug look and hopefully over time thinking smarter and performing better. 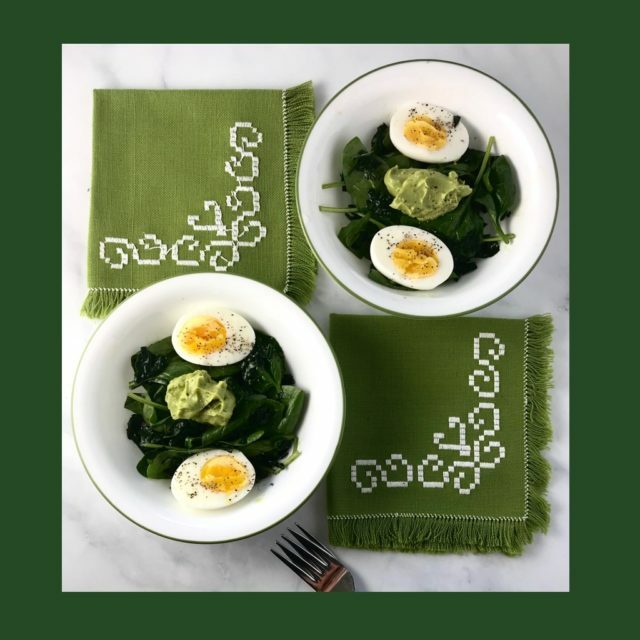 When you want your kale salad to pack as much nutritional punch as possible add spinach, avocado and healthy fats like extra virgin olive oil and eggs. Boost brain power with this delicious combo.